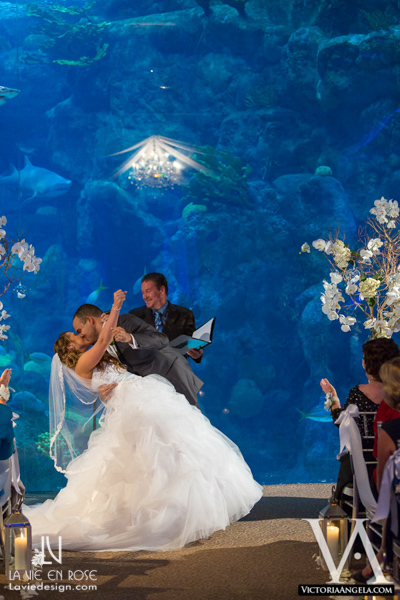 Tara and Ryan’s wedding at The Florida Aquarium was an underwater enchantment that included elements of timeless elegance. 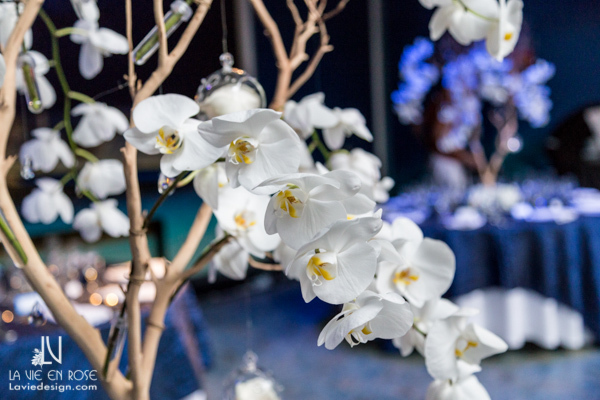 Our Orchid filled trees lined either side of the ceremony, while our crystal chandelier hung from luscious fabric draping above. 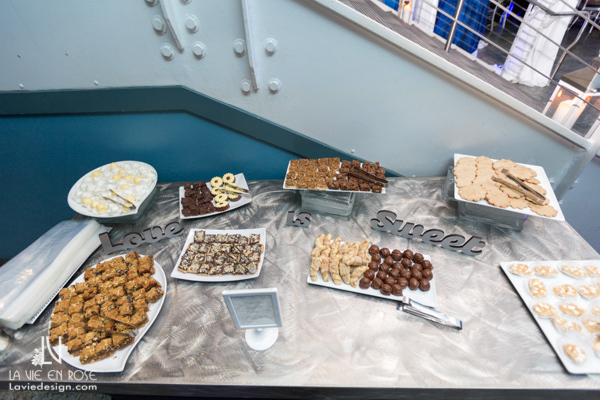 During the reception, the guests enjoyed a large spread of sweets and danced the night away! 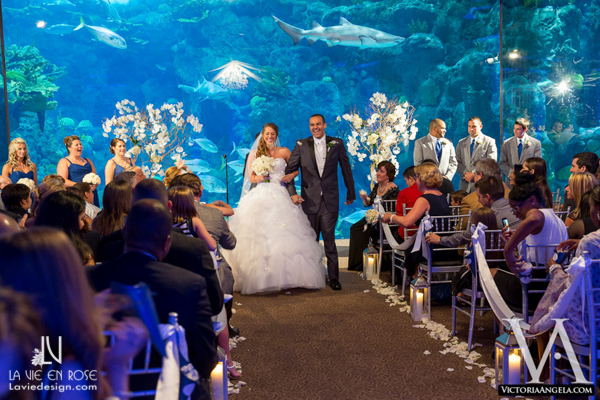 A few unusual guests… Mr. Penguin… attended the ceremony as well! 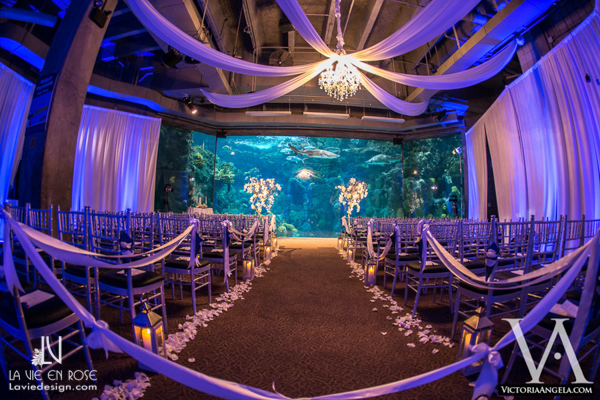 We provided the floral, wall and ceiling draping, blue uplighting and crystal chandelier in the Coral Reef Room. 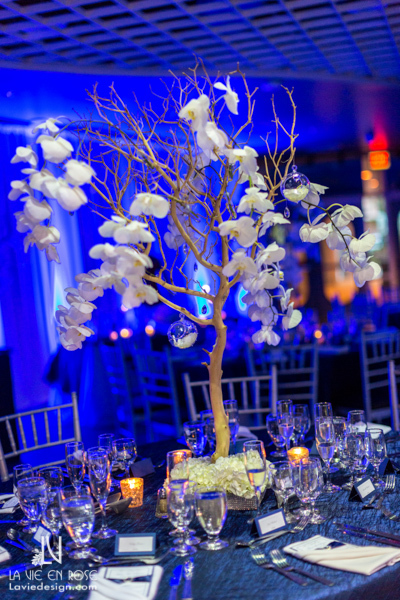 For the reception, we provided the florals, custom structure with draping and chandelier for the cake, and the wall draping. 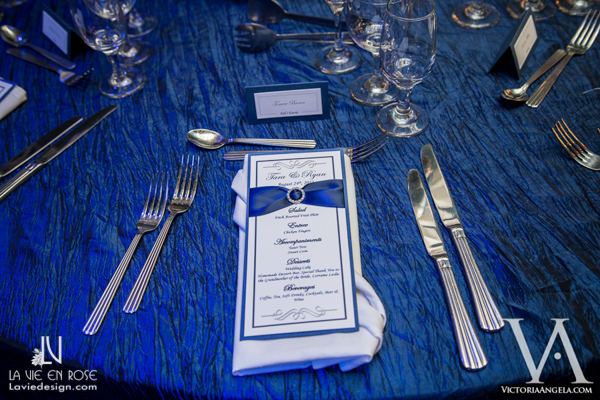 Thank you to Victoria Angela for the beautiful photos! 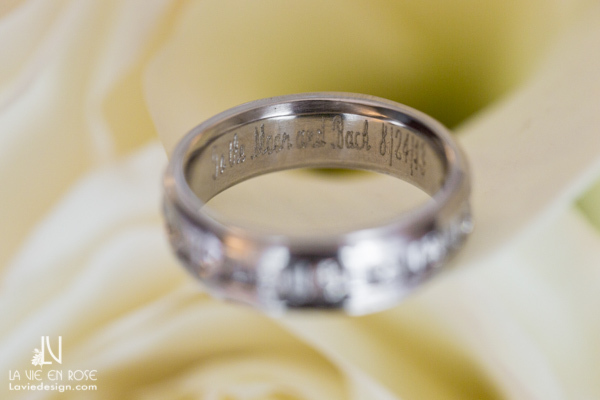 A personal and romantic touch. 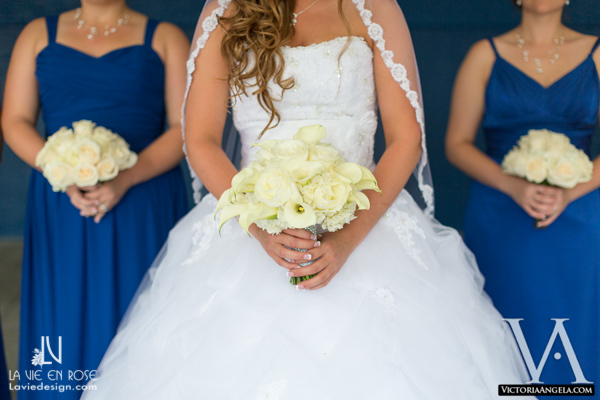 The bridesmaids had bouquets of ivory Roses to mirror the bride’s bouquet of Calla Lilies, Roses, and Hydrangea. 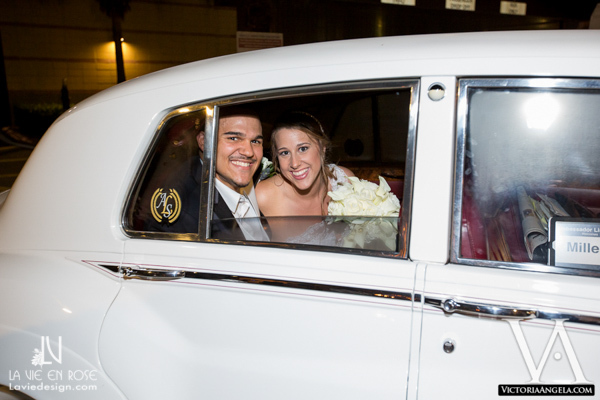 Our drape was the perfect way to ensure that our crystal chandelier became one of the focal points of the room. 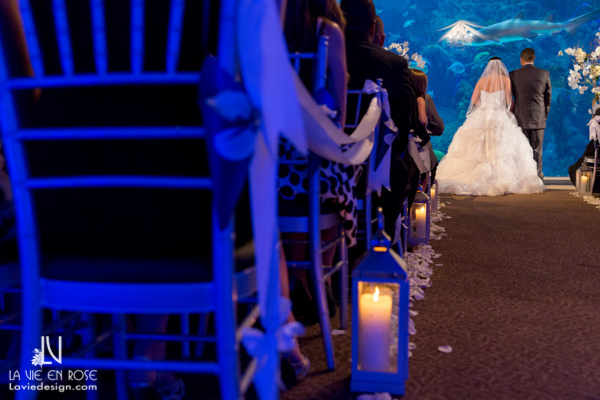 Candle lit lanterns add softness to the underwater feel of the room. 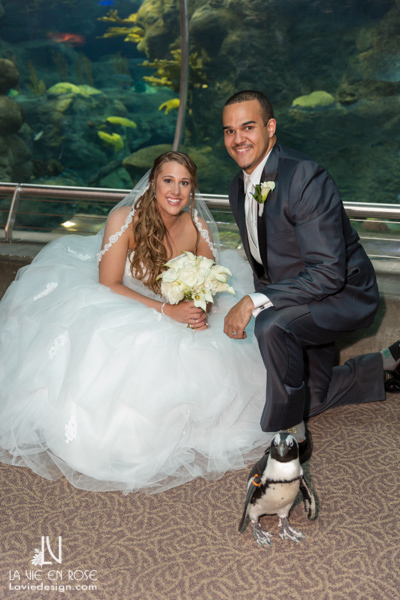 A special meet and greet with Mr. Penguin! 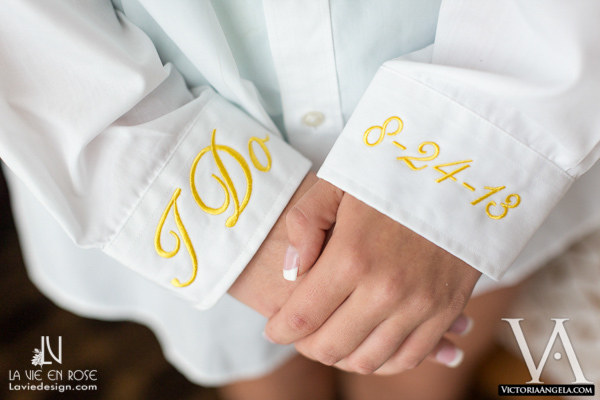 He looks dressed for the special occasion. 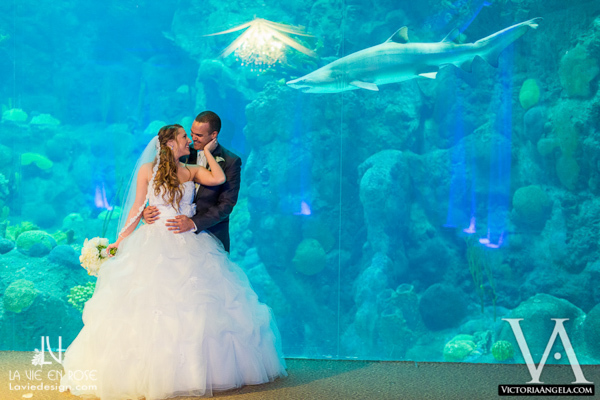 A special moment between bride and groom…and an extra guest. 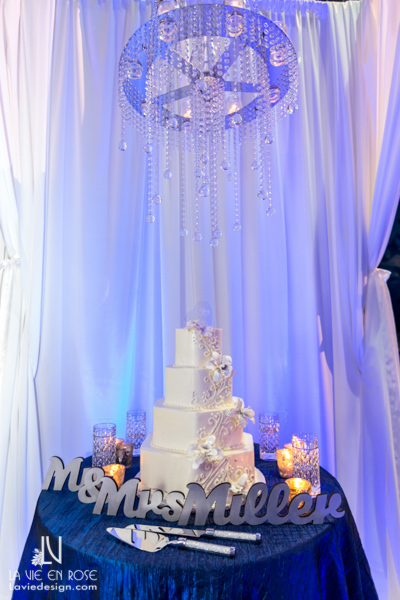 Sparkling above the cake table hung our crystal chandelier. 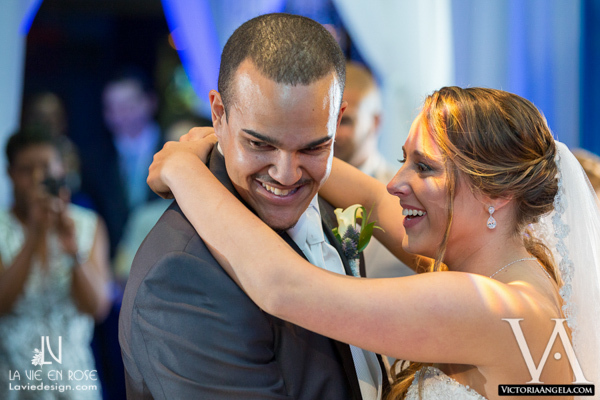 The grooms boutonniere was ivory rose with blue thistle. 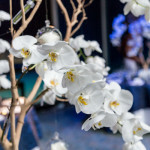 Hundreds of Orchids were added to the reception for each guest table while Hydrangeas accent from underneath. 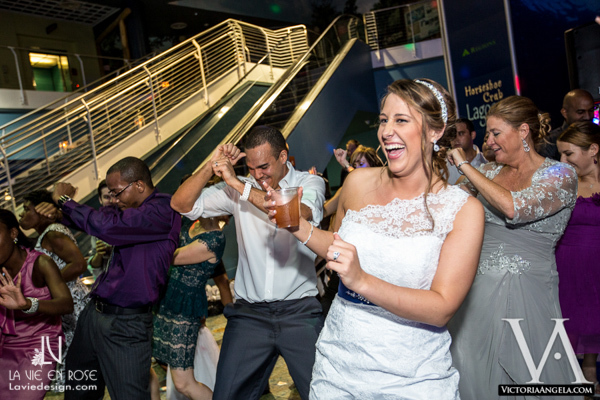 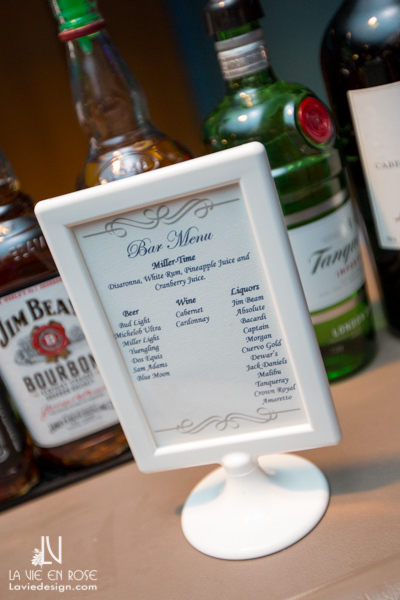 Guests got to enjoy more than just a slice of cake at this wedding. 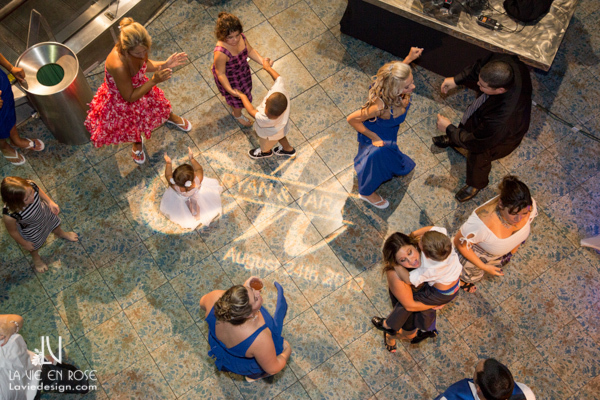 A pin spot of the bride and groom’s monogram centralized the dance floor. 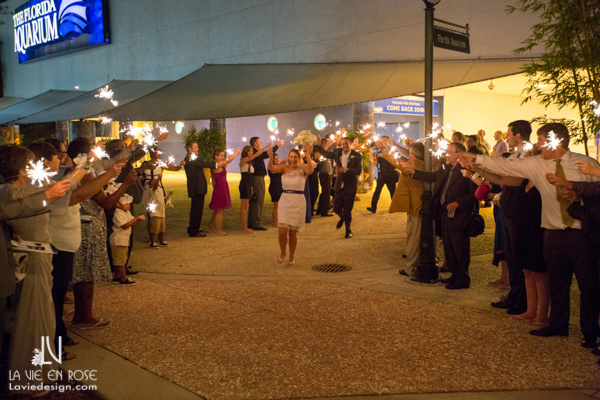 Sparkling way to exit a smashing party!